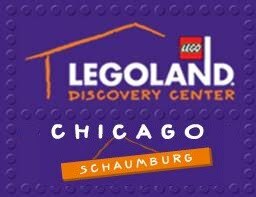 Welcome to Legoland Discovery Center Chicago. Mr. Edison greets you to the center. The first thing you see when you enter is Miniland, which features only buildings from Chicago. It features Lego animal models. Next was the Kingdom Quest ride. You ride on a dragon and shoot at targets. There are some pretty neat set pieces on the ride. Next is the Lego Hall of Fame. The Build & Race area. That's all. Time to head out.